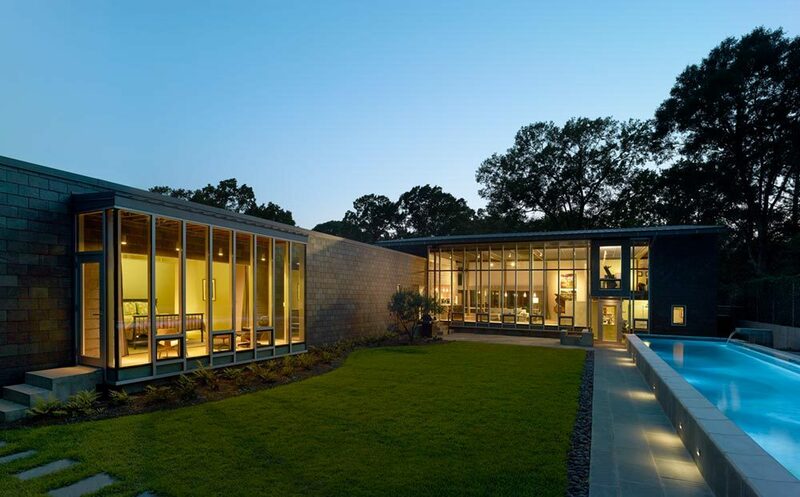 Located in Jackson, MS and brilliantly pulled together by Duvall Decker Architects, this L-shaped house is the perfect combination of unity and diversity – as requested by the owners. 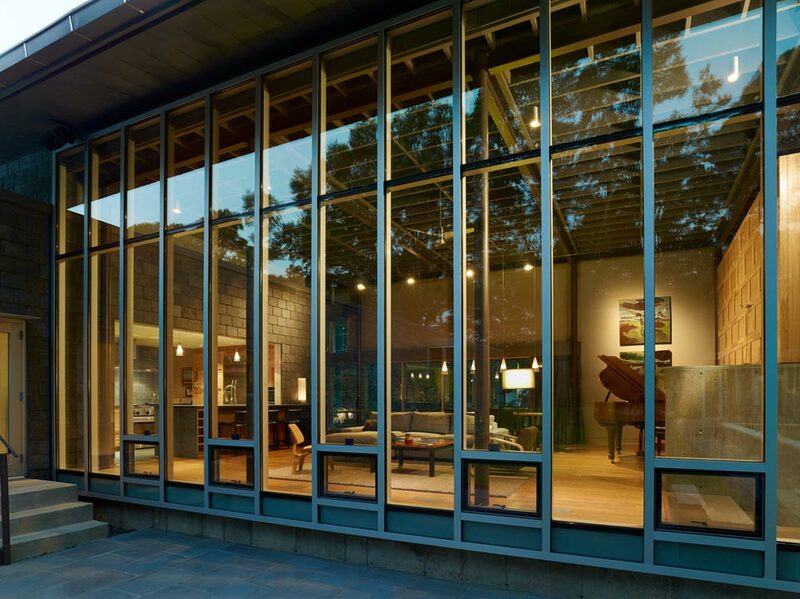 The intent was to have a space in which to gather with family or friends, but also provide individualized space to retreat to, along with accessibility to a work-at-home environment – and altogether being a resourceful energy efficient haven. 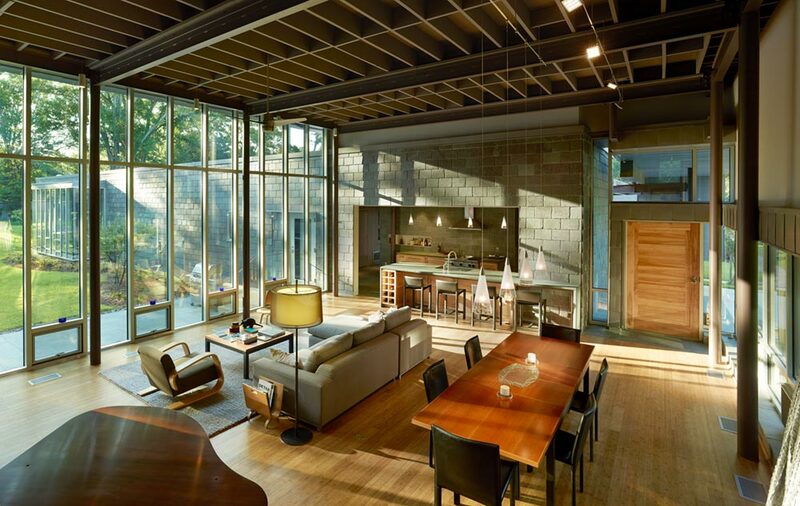 Drenched in floor to ceiling windows, the idea was to bring the outdoors in and give the home as much natural light as possible, once again playing on the energy efficiency of the space. Within the home you will notice a variety of wood grain stains, giving it a natural ease while creating a unique draw. 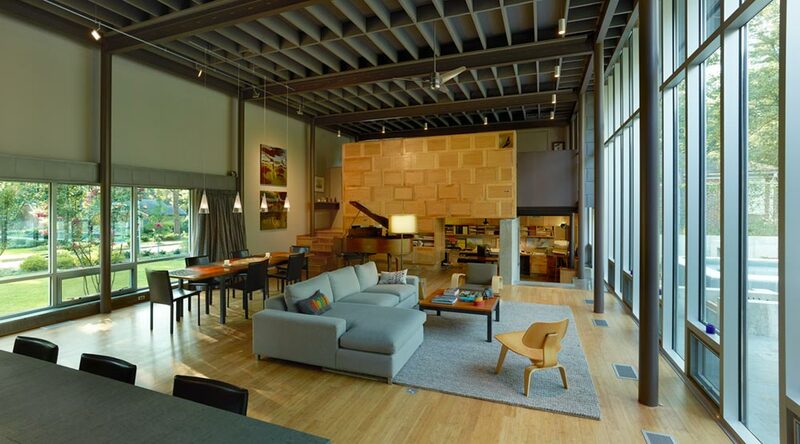 And the loft style interior offers a fresh airy feel, while implementing muted elements of texture and patterns. Exposed beams run throughout the general living space, and cement floors are lined with – what appears to be – marble, while the kitchen backsplash pulls tradition back onto the scene with a brick wall. It all comes together in a functional and soothingly rich manner – making this a house anyone would be proud to call their manor! 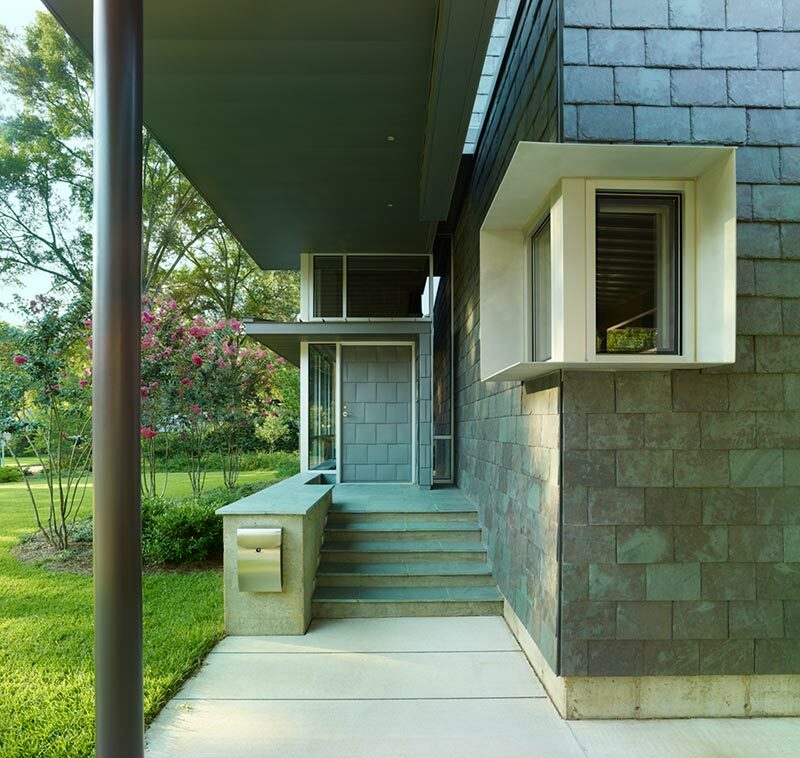 Architects: Duvall Decker Architects, P.A.